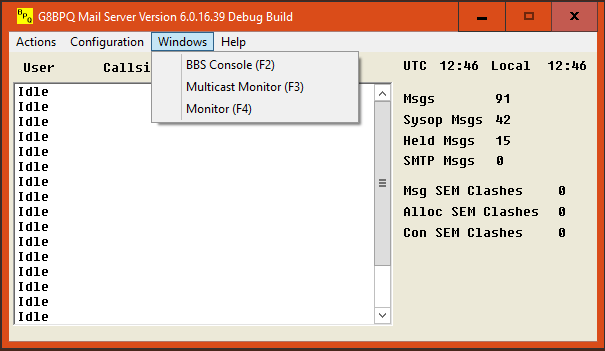 This is a BBS program specifically designed to interface to BPQ32. Although there are a number of perfectly adequate BBS programs about, none interface to BPQ32 particularly cleanly, and very few are still supported. Please Read These Notes before running the software. 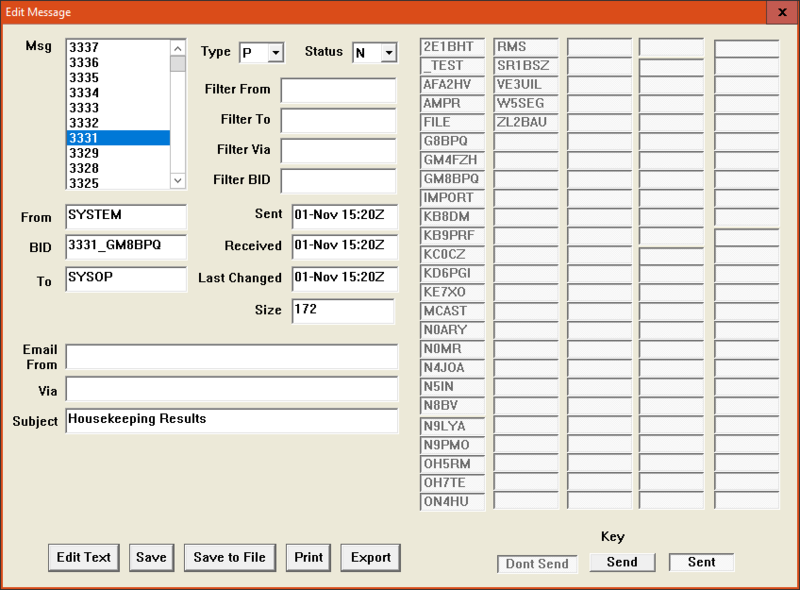 Basic Mailbox Functions (handling personal mail and bulletins). See here for a list of user commands. MBL/RLI standard forwarding and FBB-compatible compressed forwarding over ax.25 and netrom. POP3 SMTP and NNTP servers, allowing a standard Internet mail and news clients (e.g. 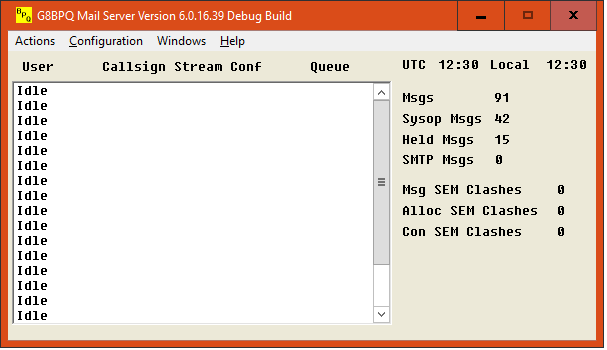 Outlook) to send messages to, and receive messages from the BBS. Ability to send locally input messages to an Internet email account, and receive responses back from the recipient. 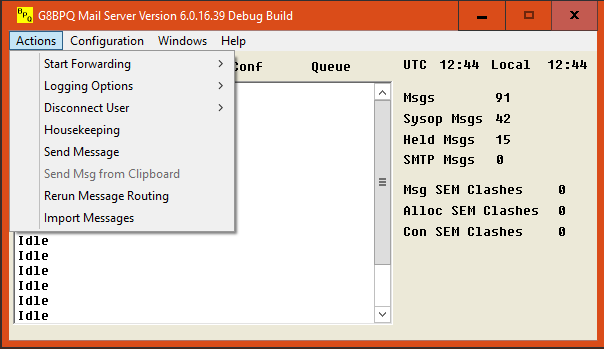 When you first run BPQMail, the Configuration window will appear. You must save all the tabs before the software will continue, even if you haven't made any changes to the tab. 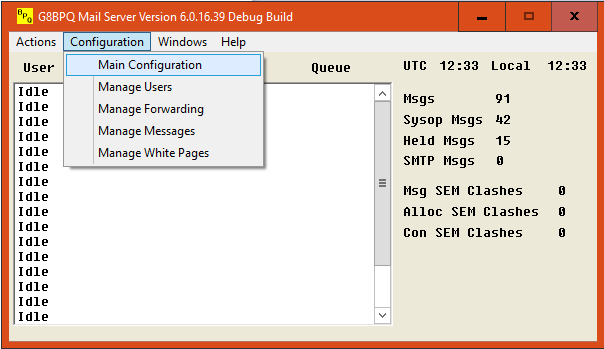 From here you can enter the main Configuration Dialogs, or manage Users, Forwarding, Messages and WP entries. Click Here for information on Configuration, Manage Users,Manage Messages and Manage Forwarding. H Message has been Held. (ie can't be forwarded, read or killed, except by sysop). Here you can edit or delete entries in the WP Database. From here you can perform various actions. Most are pretty obvious. Rerun Message Routing passes each message through the mail routing routine. 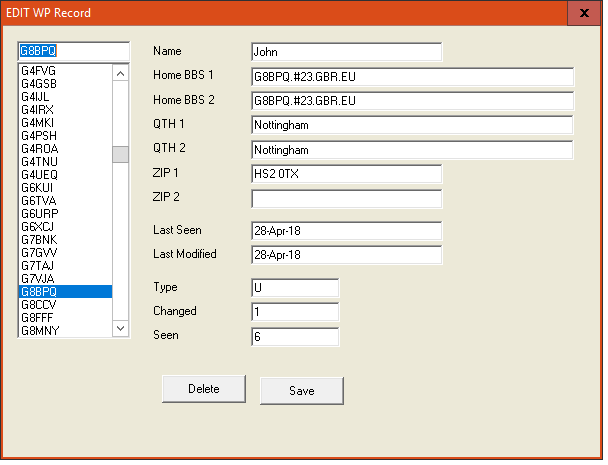 This could be used if you add a new BBS or user, to queue existing messages to them, or if a BBS fails, you could disable it and redistribute messages queued to it to other BBS's. From here you can open the Console window, which connects you to the BBS, and the Monitor windows.